Summer Reading Celebration with Bettty Birney! We read all our books, turned in our logs and now it's time to find out which school has read the most all summer to win $250 in FREE BOOKS from Harleysville Books! Join us for our wrap up to summer reading! We'll have games, prizes and lots of fun as we say goodbye to summer. At 7:00pm, we be having a special guest - Betty Birney the author of the Humphrey Series will be Skyping with us to announce the winning school and to answer questions from fans. Don't forget, every page your child reads counts and when you read any Humphrey book your pages count double! With school budgets being cut, our libraries need your help. Read to help your school win the FREE BOOKS! 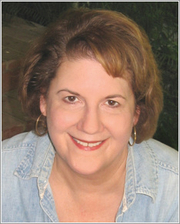 Betty G. Birney is currently considered a "single author." If one or more works are by a distinct, homonymous authors, go ahead and split the author. Betty G. Birney is composed of 4 names. You can examine and separate out names.